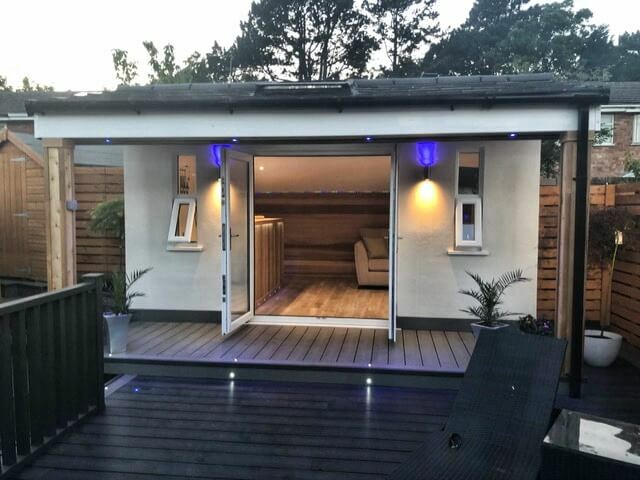 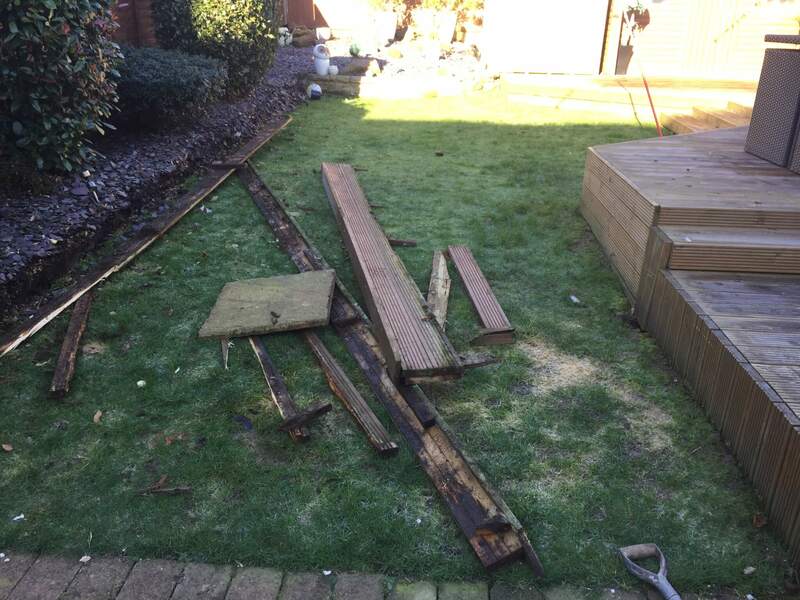 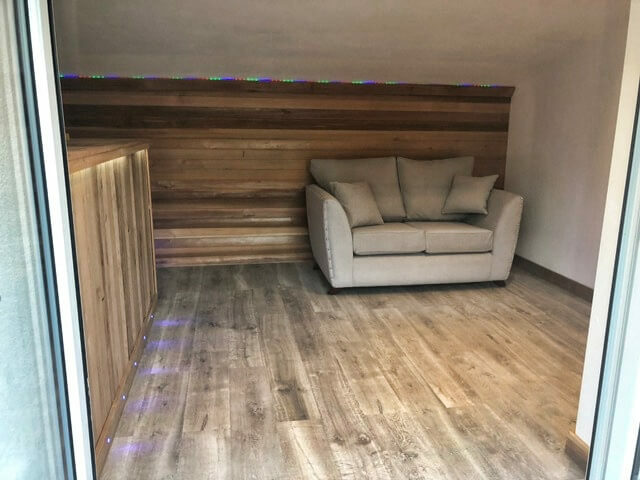 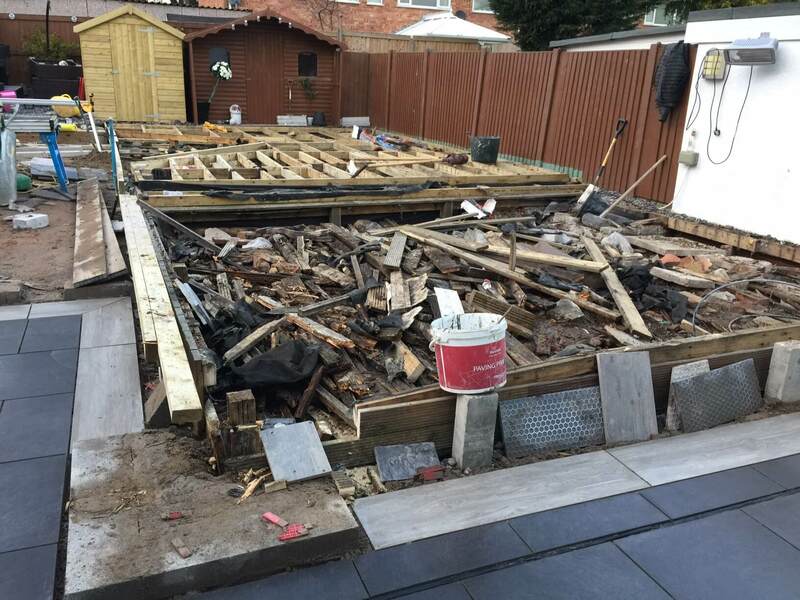 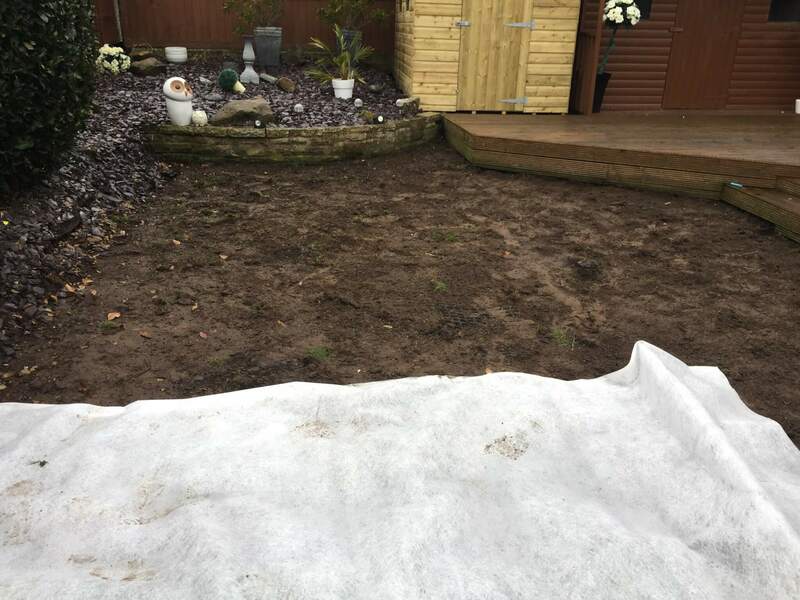 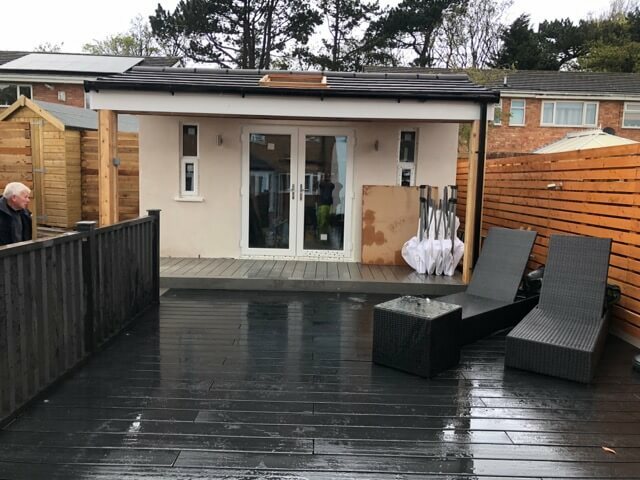 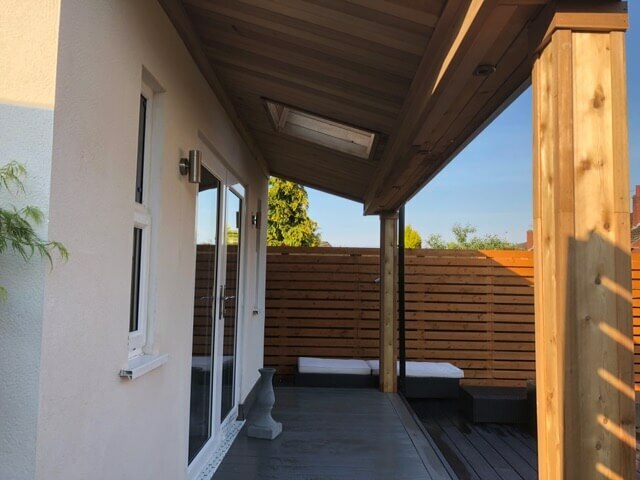 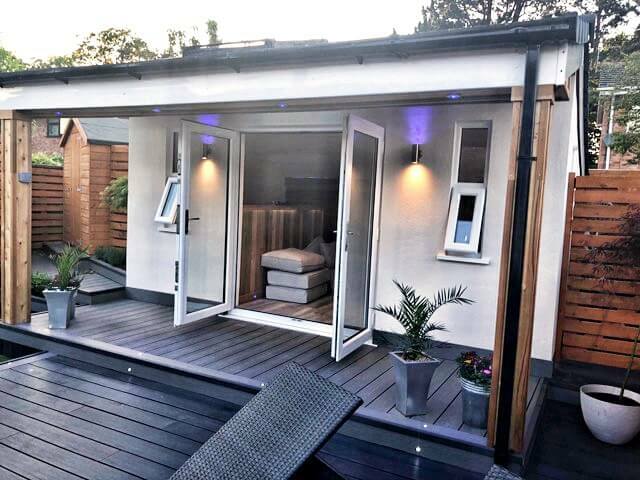 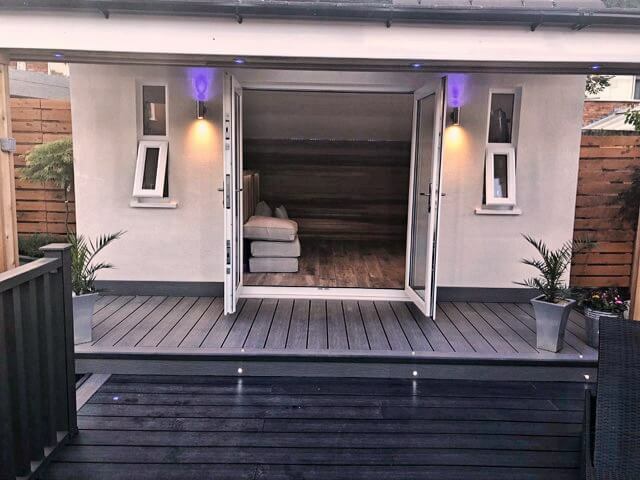 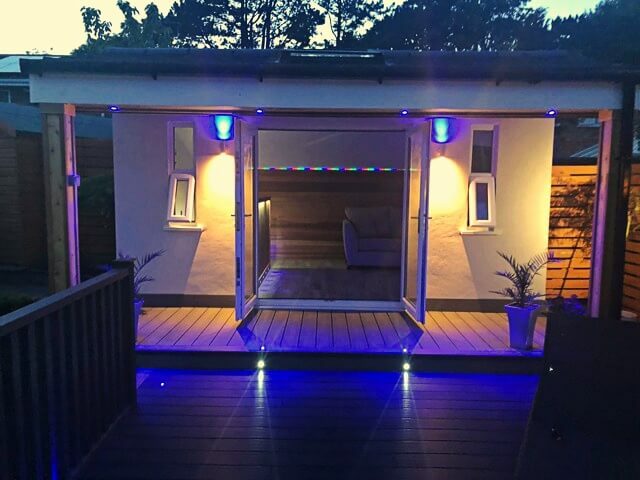 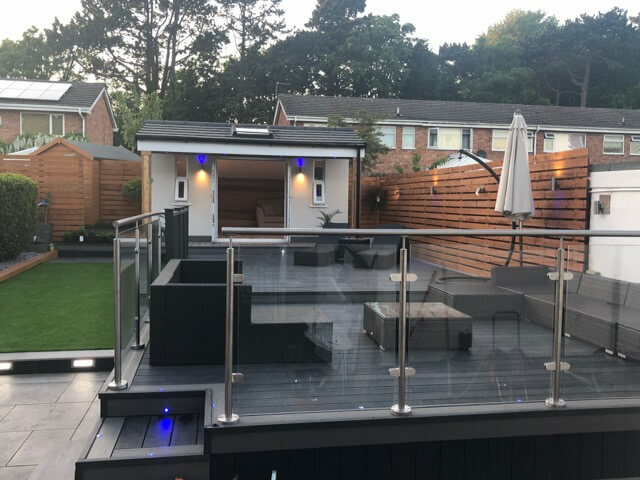 This garden room project was a part of a landscape garden makeover project about creating a low maintenance garden and it was carried out in the Wirral area of Merseyside. 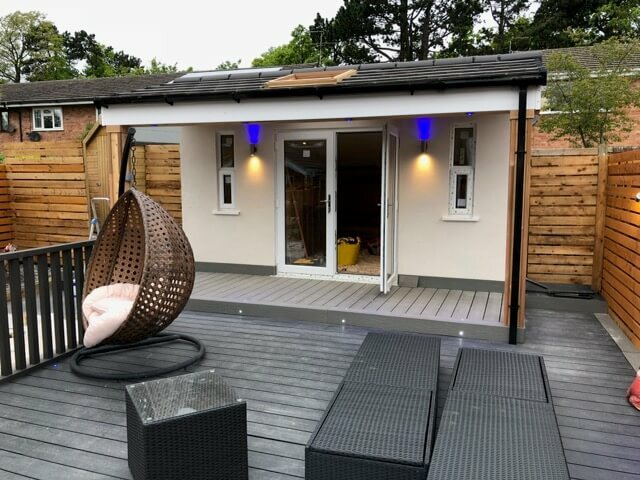 A room in your garden is a great way to create space for activities that you may not be able to accommodate in the home. 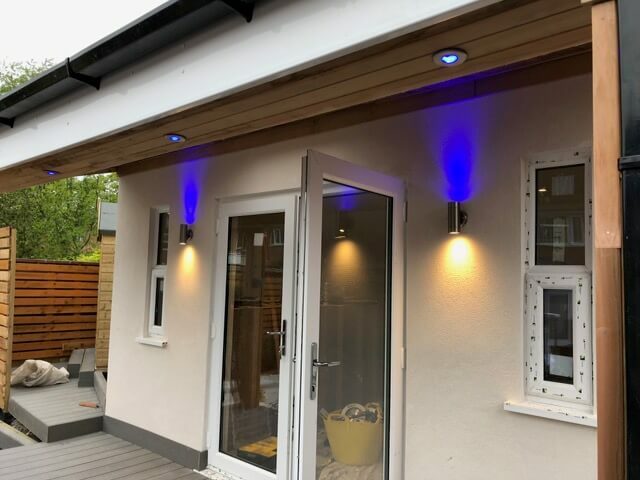 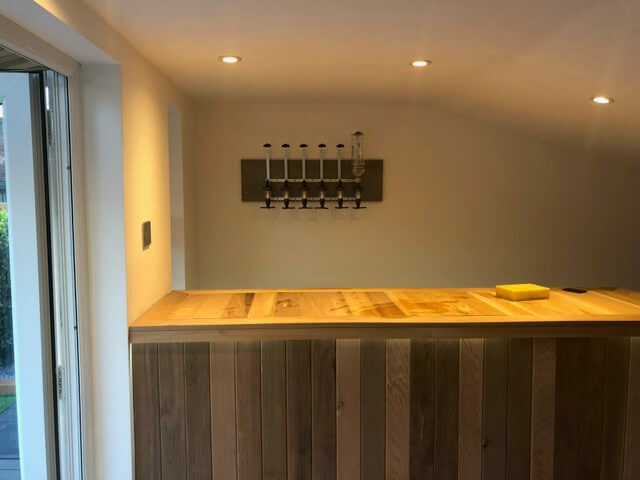 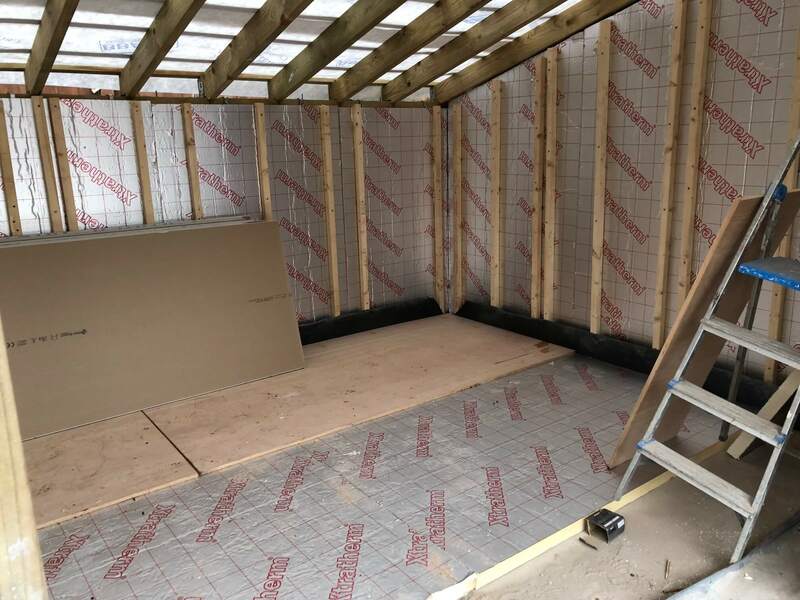 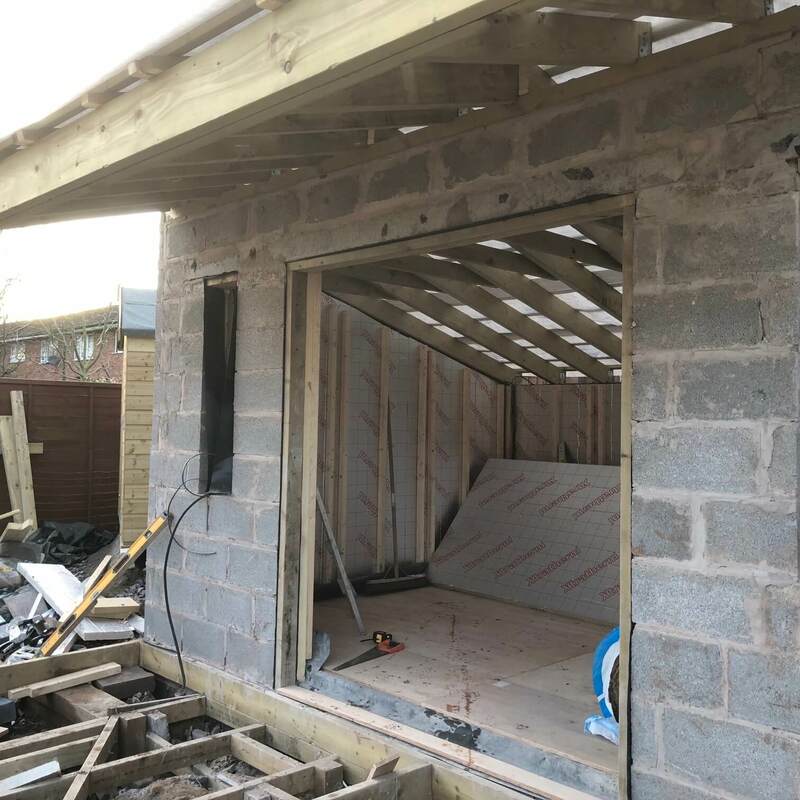 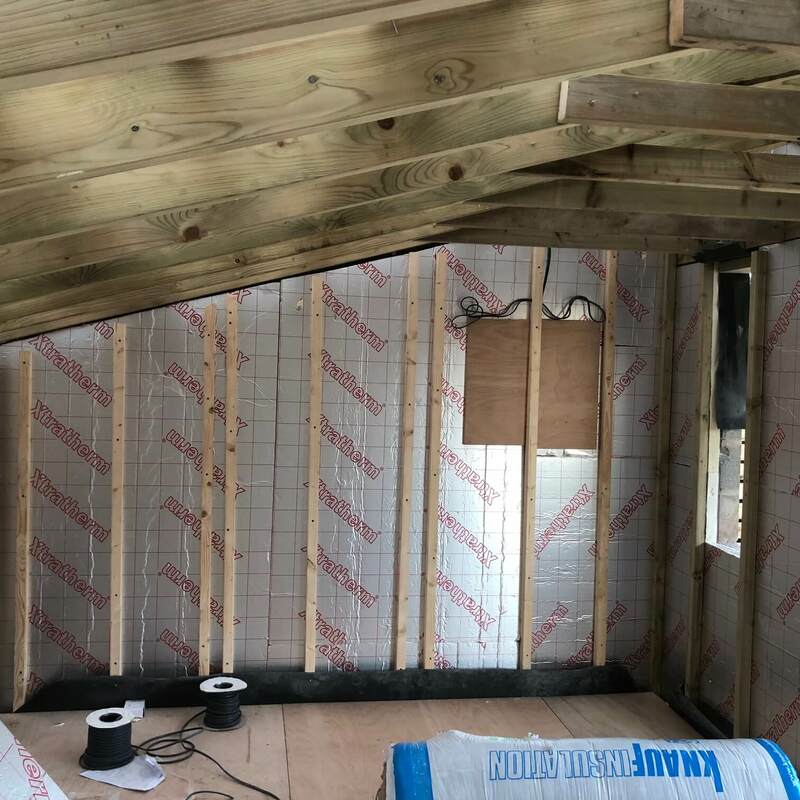 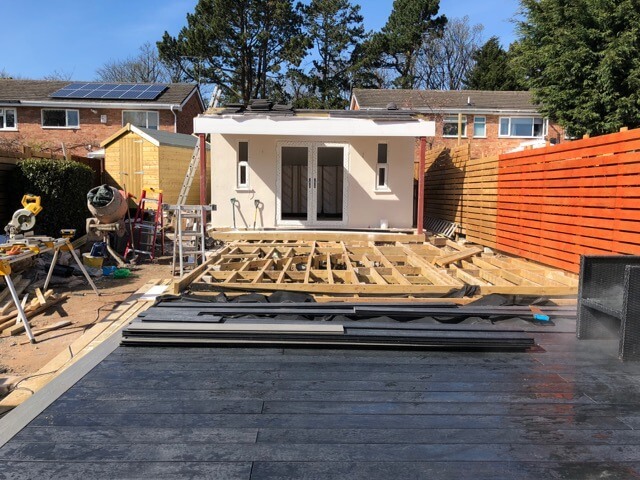 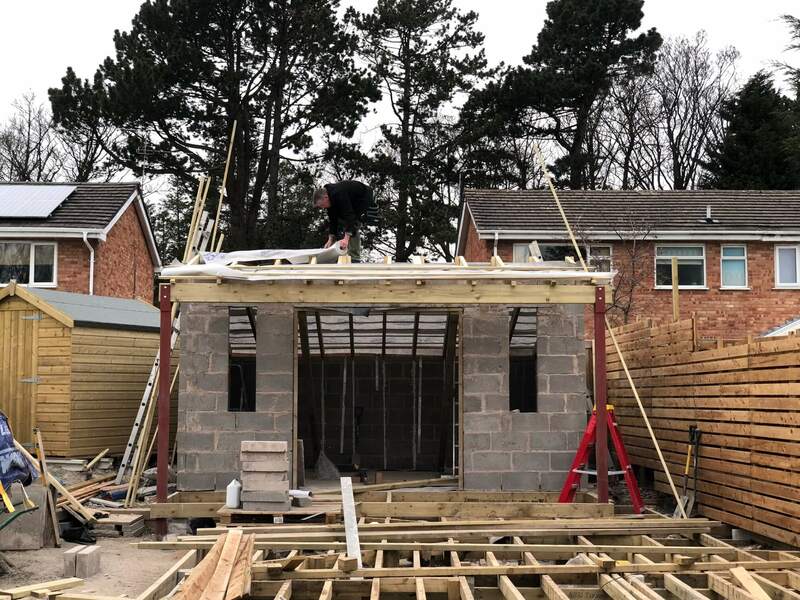 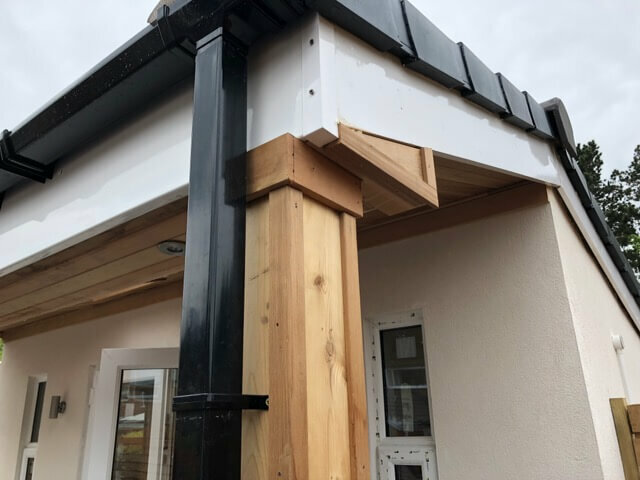 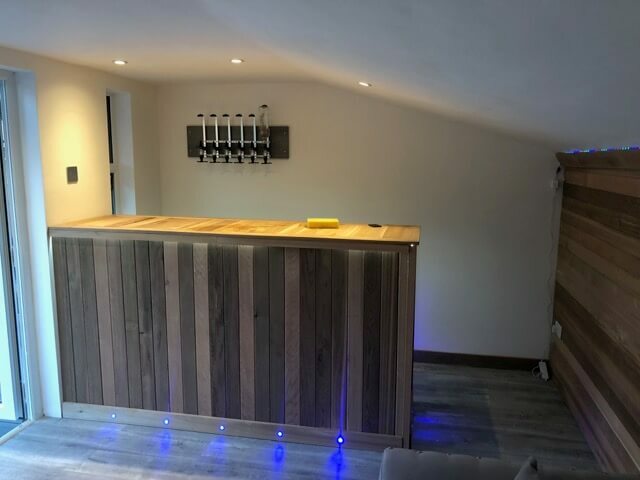 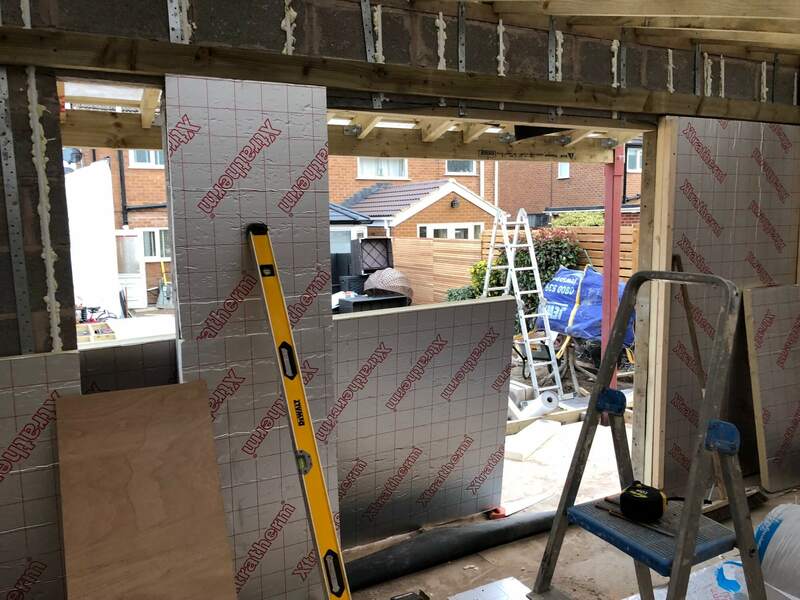 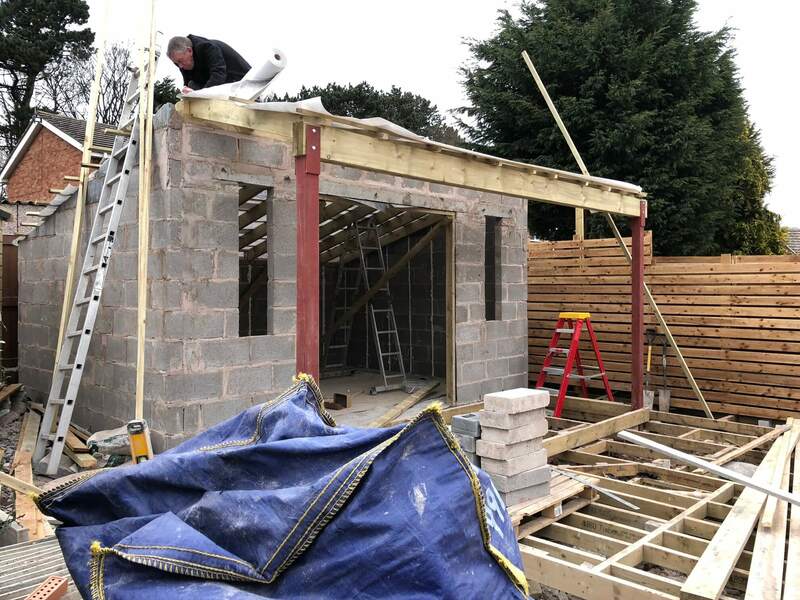 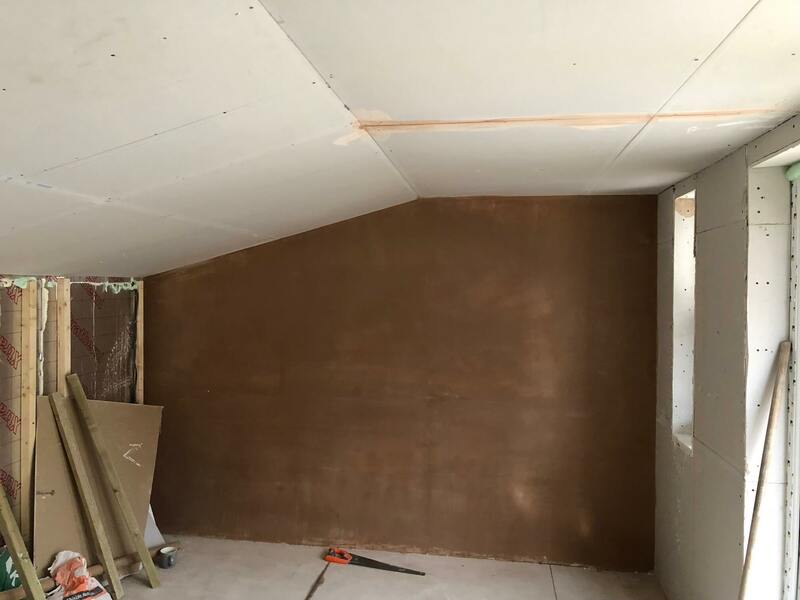 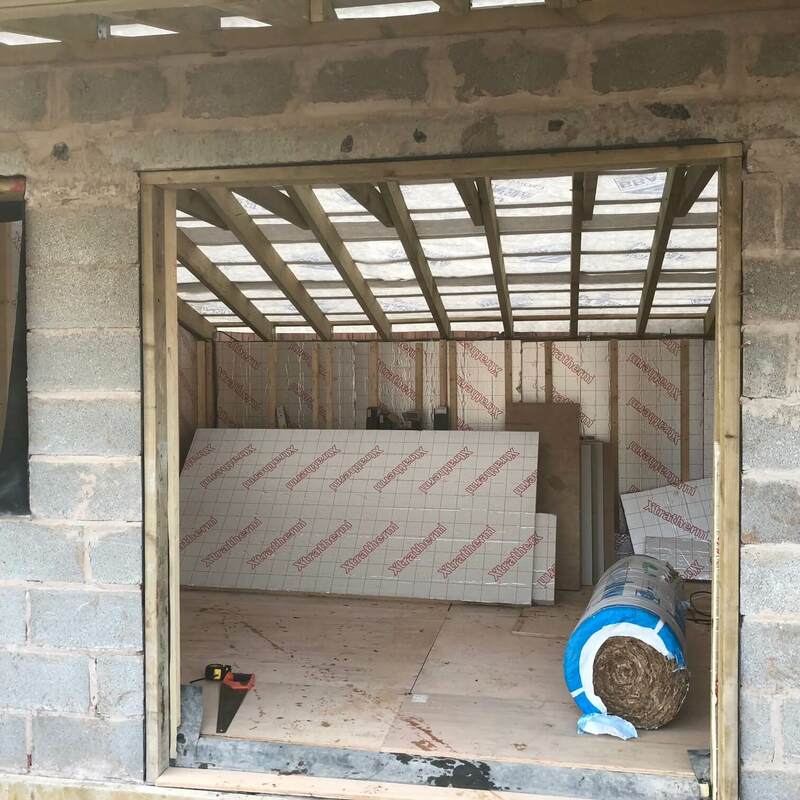 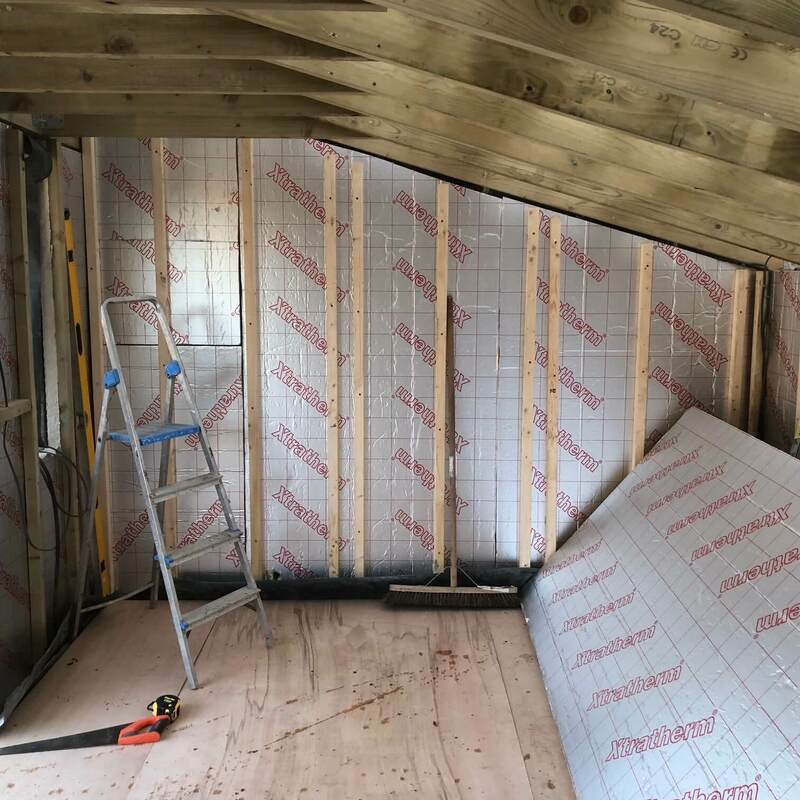 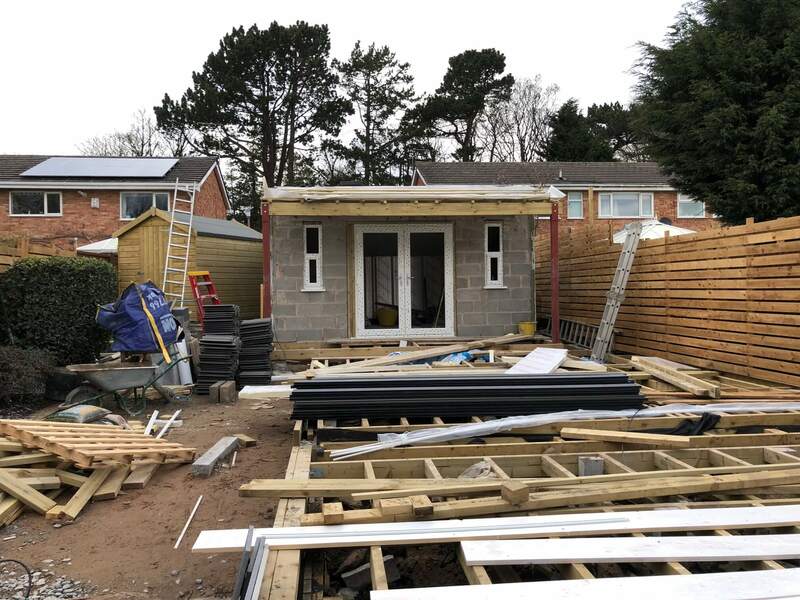 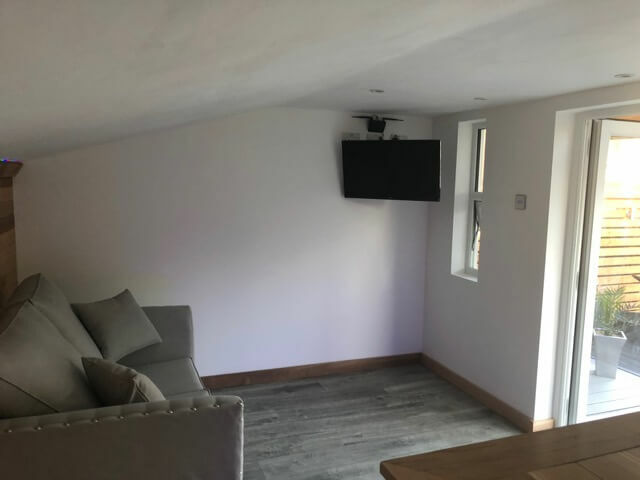 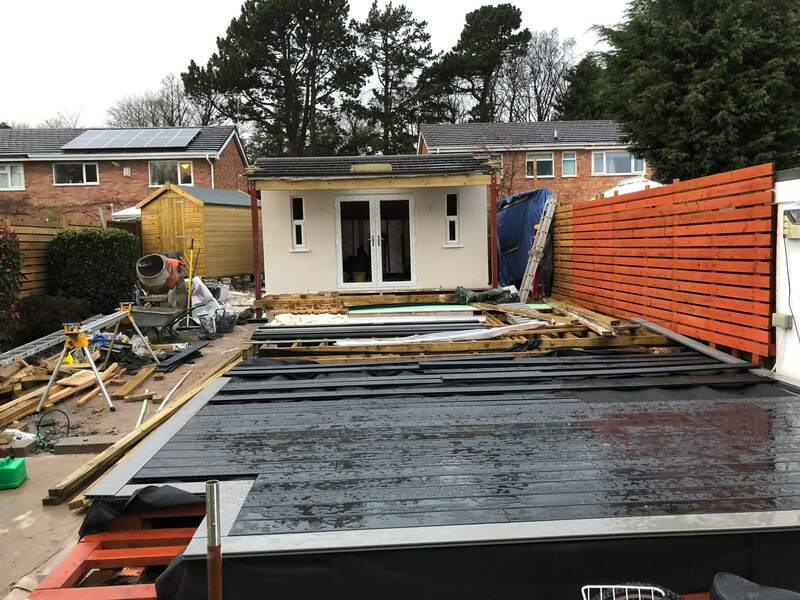 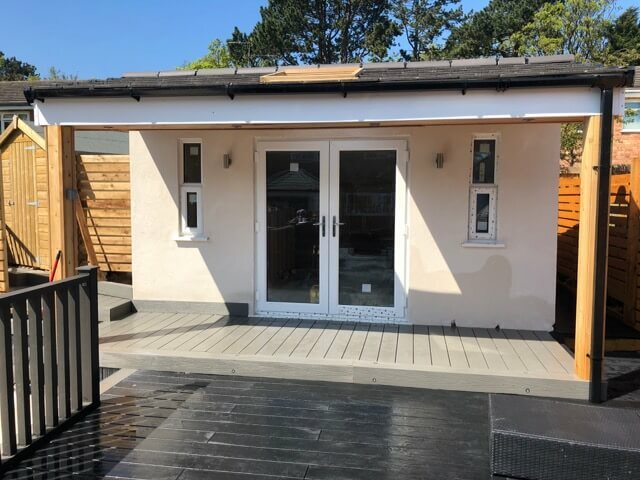 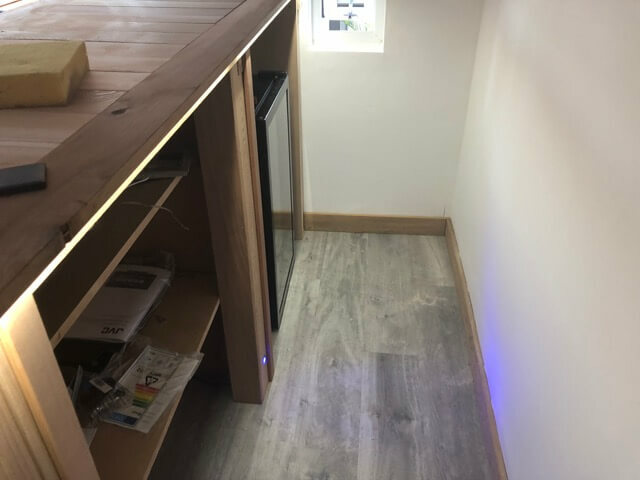 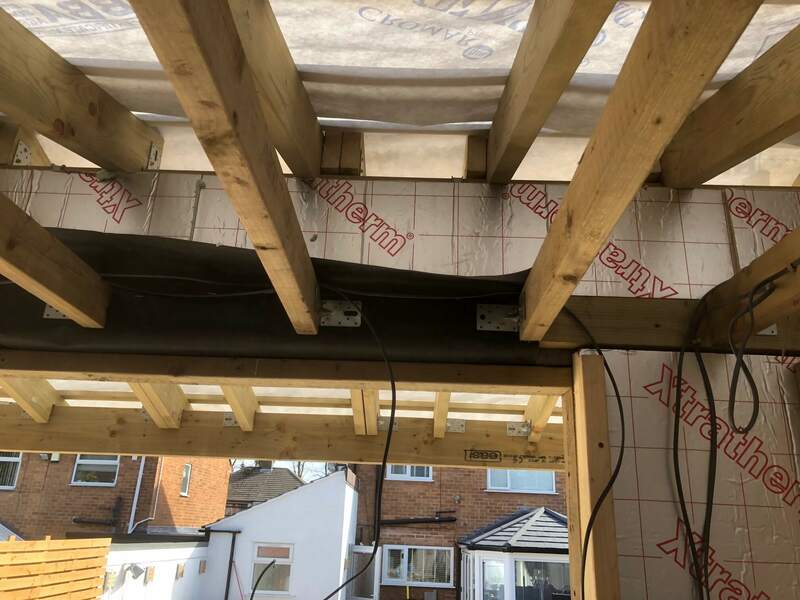 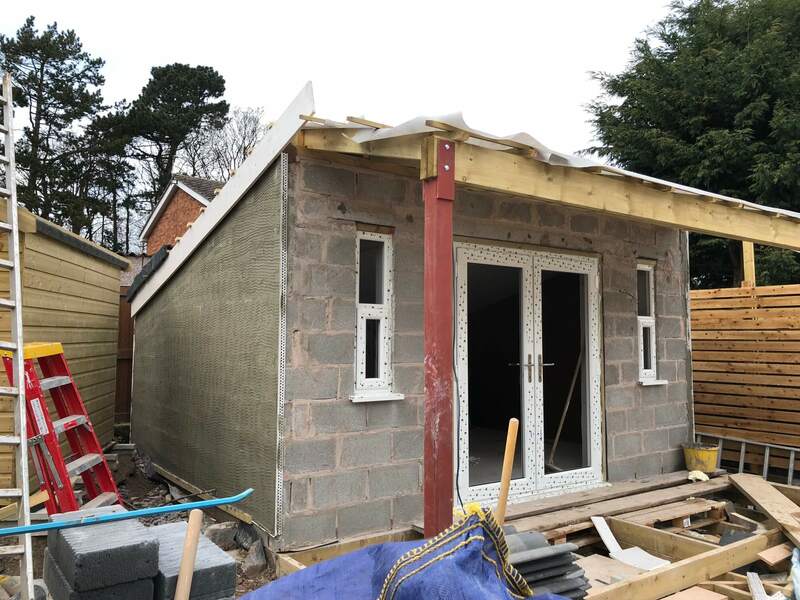 Here we were constructing a multi-function garden bar room using concrete block, french doors and two windows, tiled roof with standard concrete tiles, timber floor, all insulated throughout, canopy, K rend to front elevation.